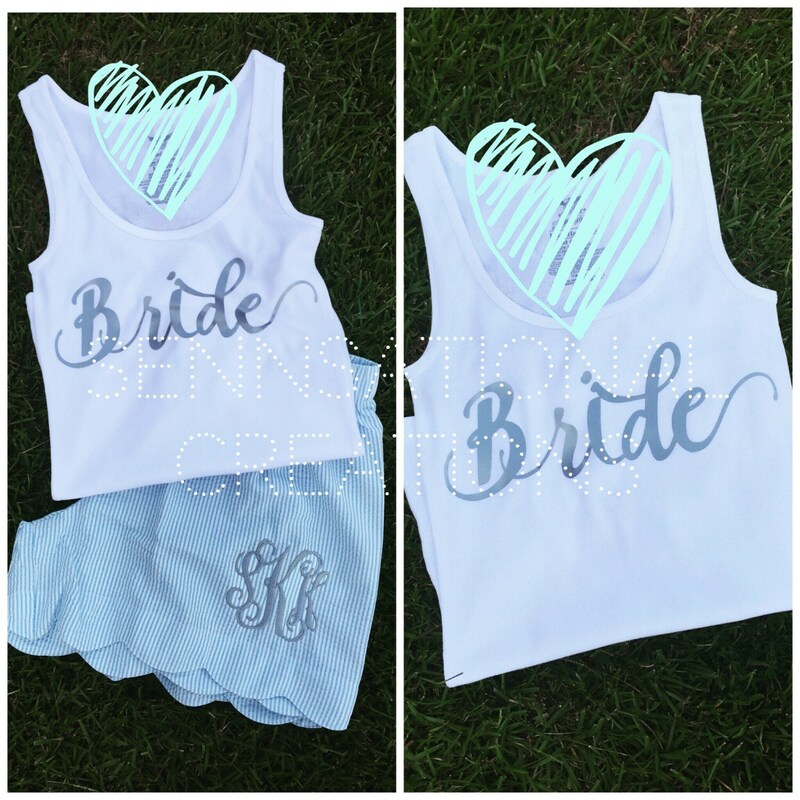 These sets are the perfect gift for the bride. She will look stunning and stylish in this set whether she is getting ready, sporting it on her honeymoon or hanging out with the girls. This set is shown with silver writing. If you would like a different color, please ask. ***I am not responsible for monograms listed incorrectly.